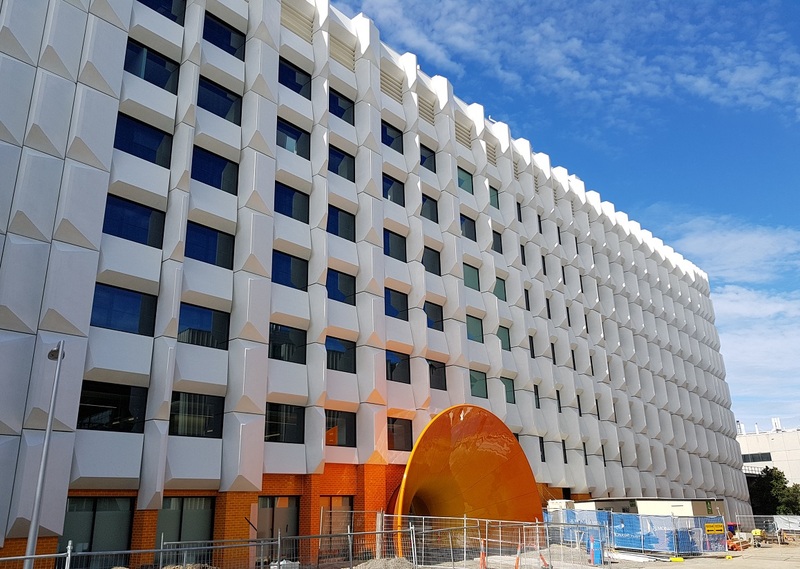 In 2017 we were involved with construction upgrades at Monash University Clayton Campus. We galvanized hundreds of RHS 5 metre x 2.4 metre frames and tonnes of brackets for Melbourne Facade. These frames created the internal support system for fixing the diamond shaped cladding components visible in the photo. The cladding profile adds a strong 3-D effect to the facade. The RHS frames worked double duty. They were hot dip galvanized for long-life protection against corrosion and four windows were fitted to each RHS frame.